If you do not have enough wit the new mobs added in previous versions of Minecraft and want more action, we bring you a mod to try to quench your thirst for battle. 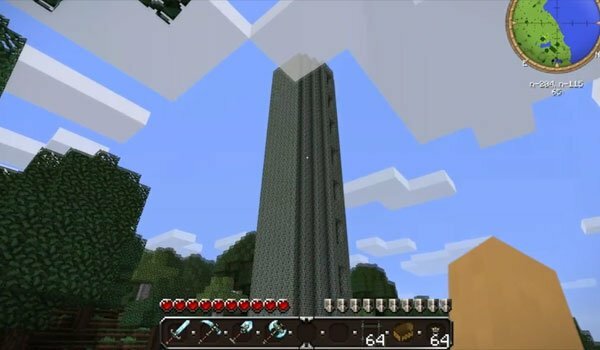 Battle Towers Mod 1.7.2 and 1.7.10 will add to your Minecraft world (you must create a new one) several towers full of enemies that you must be overcome to reach the top of them, where you’ll find the big boss. This will not be easy to overcome, but if you succeed, you will get a nice reward in a chest on the same floor, with a good variety of useful items in most cases. How to install Battle Towers Mod for Minecraft 1.7.2 and 1.7.10? Is this mod still available for 1.6.4? I tried downloading it and it says it’s no longer available.